Live performances are coveted experiences because each one is unique. A musician may decide they want to gift the audience with a random guitar solo or a comedian may decide to roast a random audience member. Because of this, most of us are inclined pull out our handy iPhone and record some, if not all, of the performance. Whether we intend to watch it again at a later time or share it with our social media community, the idea of securing a timeless record of the experience is attractive. However, some performers are not on board. These artists want to maintain the unique quality of each show, and have long wanted a way to limit or prevent attendees from using their phones. 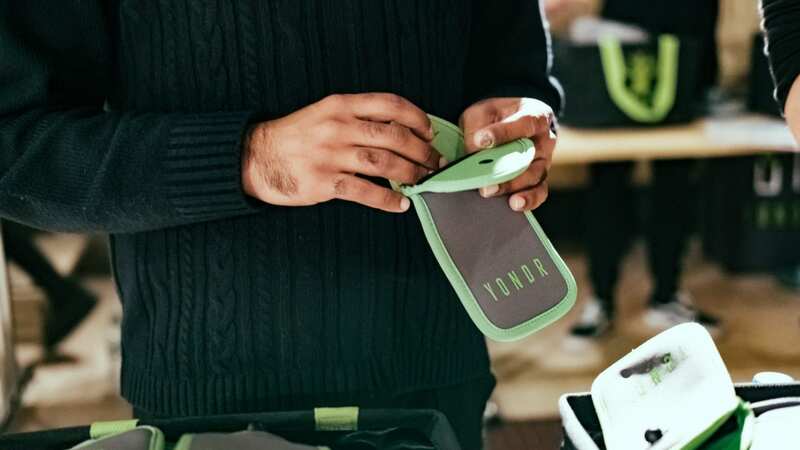 Yondr recognized these challenges and created a special case that concert-goers could place their phones in, and once inside the venue, the cases lock. Only when attendees exited the performance area would the case unlock. These cases became the answer to many artists’ desire to have performances stay within the walls of the venue. Yondr then enlisted the global Elevate team to provide staff to help make the entire process run smoothly. Globally, Elevate has provided over 200 brand ambassadors and 20 leads for the program to date. Elevate’s London office provide the support needed in the UK, while the Los Angeles office handles events within the United States. Supporting performances by artists from Jack White to Dave Chappelle, the Yondr brand ambassadors ensure that all attendees phones are secured.